Have you ever sewn with real leather, or some of the faux leathers and vinyls in your bag making? Certainly it might not be the ideal material for beginners to bag making, but faux leather accents and handles can certainly add to the look and styling of your bag. 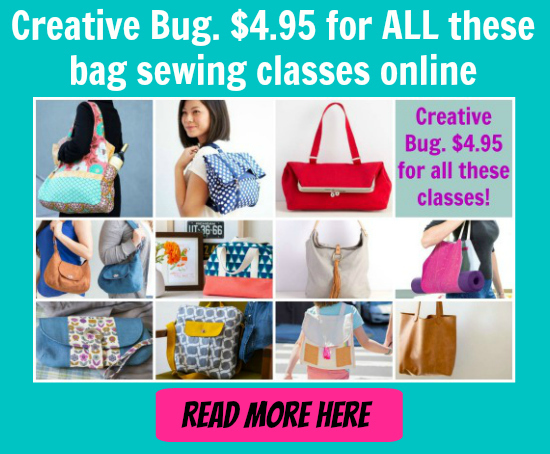 If you look at handbags and purses on the market right now, adding accents to fabric bags seems really popular and you’ll find examples popping up in several recently released patterns and in bag sewing groups. If you’d like to give it a try, here’s a full step by step photo tutorial for how you can add a leather/vinyl accent around an external zipper pocket. Match it with co-ordinating handles and you’ve got a winner!